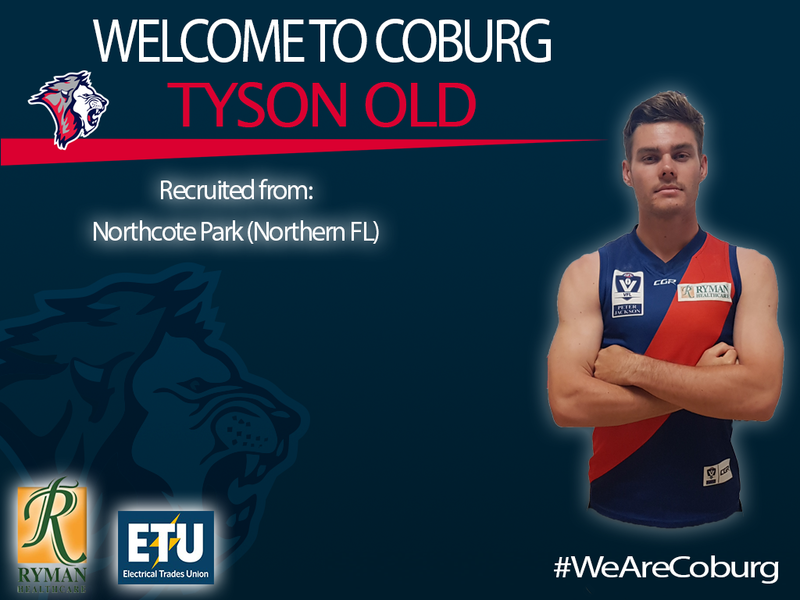 Coburg’s list for 2019 continues to be built with the signing of Tyson Old. Originally from North West Victoria with Sunraysia Football League side Red Cliffs, Old moved to Melbourne for his studies and would eventually link up with the Northern Football League’s Northcote Park in 2014. A dashing defender best suited to playing off halfback, Old had a breakout 2017 campaign with the Cougars which resulted in him being noticed by Essendon. Old would spend the 2018 season as part of Essendon VFL’s program in their Development squad. Although he didn’t manage any VFL football in 2018, Old would impress the Bombers with his desire to improve and work hard. GM Sebastian Spagnuolo was pleased to have agreed to terms with Old for the 2019 campaign. “He’s played some good senior football for Northcote Park & has been impressive on the training track,” Spagnuolo said. To be like Tyson and sign up for the Lions, click here and become a member today! More Northern suburbs talent arrives at Coburg.